People love to follow brands they like on Instagram. Brands like Nike, Starbucks, Forever 21, Adidas, MTV are the most active users and have a huge number of followers on their brand pages. Even the engagement rate on Instagram is much more than on Facebook and Twitter. You can promote your business and convert viewers to buyers; however, the trick is being able to do it effectively. 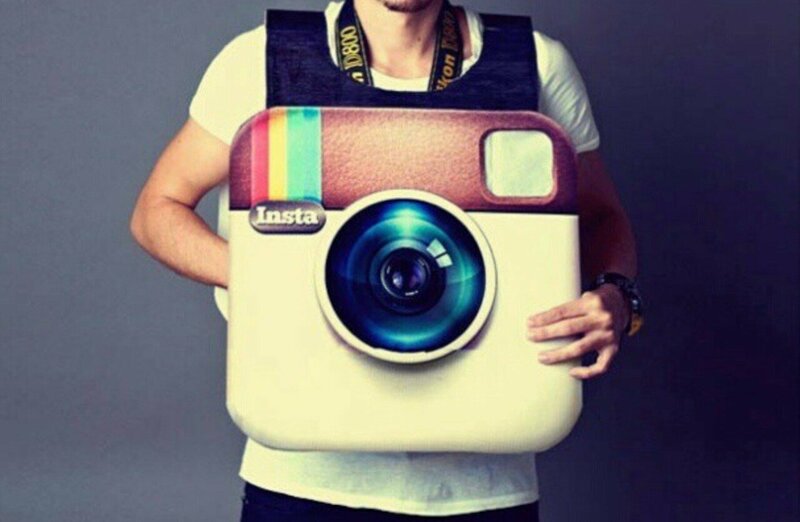 These 5 tips will guide as to how you can grow your business on Instagram! An incomplete profile will bring you half-hearted results. Have a profile for your brand that is complete and optimized. Write an interesting bio for your brand and include the link of your website, as it is the only place where you can add a link. Do not change the image and the name of the account very frequently, as viewers fail to relate to it if there is constant change. Instead, be consistent with the image and the name of your brand that is displayed in the bio. One way that is sure to attract viewers to your Instagram page is to include high-resolution images. Instagram allows photos with a 612×612 pixels frame. You can photo-shop your image size to 1024×1024 pixels and then upload them to make them visually appealing. The images need to be creative and should not look pushy. Every day, about 70 million photos are shared on Instagram. How can you make your image stand out from the rest? By using Instagram editing tools profusely. App filters will make the images you share look vibrant and colorful. Do not forget to add the geo-tag with every image, as it gets 79% more engagement. Another way to target your audience is by including the right hashtags. To get the best results, include the 5 most popular and most searchable hashtags. Iconosquare allows you to choose relevant hashtags for your images. You can also create a unique hashtag for your brand. You can use Talkwalker to analyze popular hashtags, to find out what hashtags your competitors are using as well as to monitor your own campaign. Add attractive, clear and crisp captions to the images. You can run contests on Instagram to trigger engagement. Announce the prize by posting an appealing image of the prize at the beginning of the contest, and also by posting a picture of the winner at the end of the contest, congratulating him/her. Not only will the winner feel special by this gesture, but your target audience will also appreciate the effort, thus increasing the engagement rate. Contests are a great way to increase engagement pretty fast. They promote your brand, spreading the word about you. However, you need to have huge followers to run any contest. With every marketing effort, you have to track your progress. It helps you to get an idea of what went wrong and what triggered the growth. Tools like Iconosquare give a detailed report of how well you are doing on Instagram. It tracks how many comments and likes you are getting, who is hitting the ‘like’ button and commenting on your images and what is the best time to post an image. Whatever platform you choose for your social media marketing, you need to be consistent in posting content and images every day. Only then can you build up loyal followers for your brand. Do You Need Help With Social Media Optimization for Your Company? At MediaLabs, we pioneer in Brand Positioning, Content Strategy, Social Media Strategy, Online Reputation Management, SEO Strategy, Market Analysis, Competitive Analysis and much more.